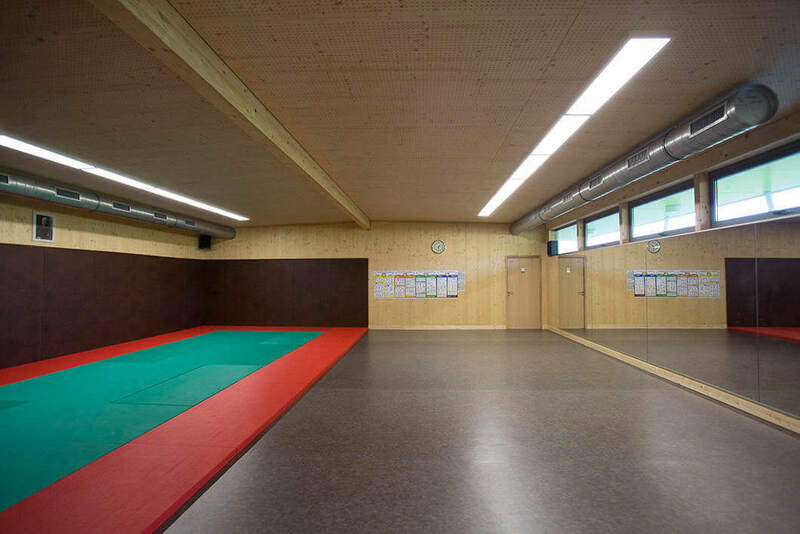 The town of Chavenay in the Yvelines department has built indoor tennis courts plus a judo and dance hall. Completed about a year ago, this sports facility is giving a new lease of life to the town’s sporting life, according to Siegfried Jahn, deputy mayor in charge of works. 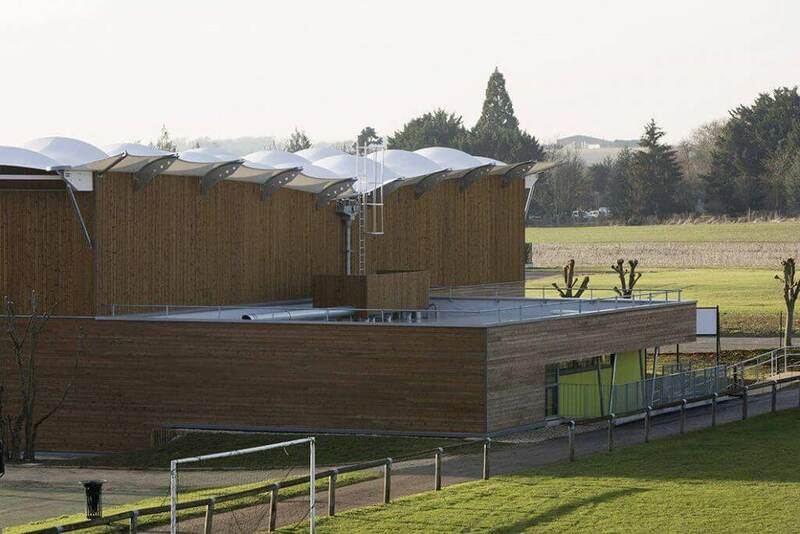 What made you build this sports facility? The existing sports hall was the former girls’ school: so it goes without saying that the design wasn’t right and it was very cramped. Moreover, we had no covered tennis courts, which meant a lot of members were pulling out to join clubs in the surrounding towns. The club’s membership dropped from 200 to fewer than 150 in a short lapse of time. So we obviously needed to fix the problem. And we were right to do so because our tennis club’s membership has since risen above the 200 mark. In addition, we were able to host the Gally Tournament very successfully. How did you make your choice regarding the structure? We had to respond to several constraints because we are in a historical village. So, we had to work with the architects from Bâtiments de France. For instance, we weren’t allowed to put up a bubble structure over the tennis courts like many other towns have done. We then started finding out about the other solutions available to us. We got interested in SMC2’s portfolio and roofing system, especially from the architectural design viewpoint. This was an important criterion for us. We needed a facility that met all these constraints and one that would blend seamlessly into our environment. We are entirely satisfied with our choice and I would like to commend the efficient team work that went on with the company’s technicians in addition to its professionalism. 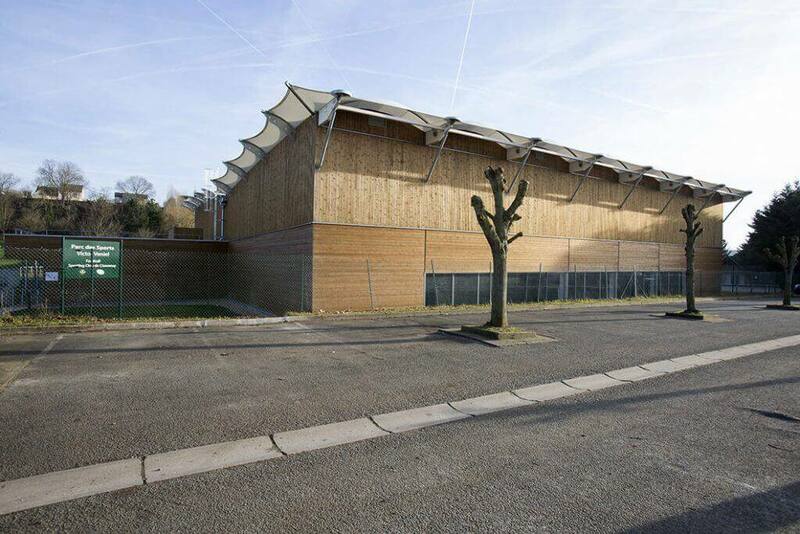 Both courts (45 x 40 m) are roofed by a wood frame with large side windows. 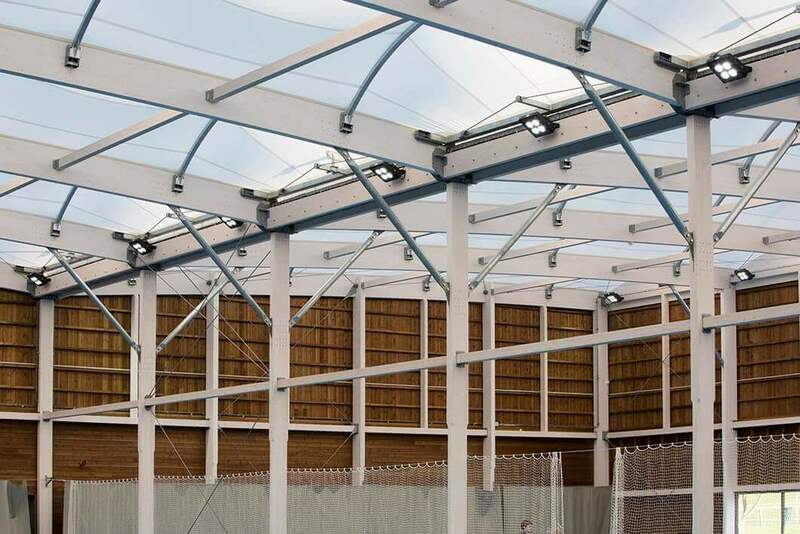 The roof features a translucent covering provided by a tensile fabric membrane and a roof frame with 100% wood cladding. The facility is very bright and is not heated, but merely tempered at 12 °C. Because of our geographical location, heating would be pointless with respect to the investment involved. This solution easily provides for use the whole year round except perhaps for a fortnight over the year in the event of extreme cold or hot weather. Both courts are lit with LED floodlight arrays. One of the courts is marked for handball (with a fold-away goalpost system) for school children. 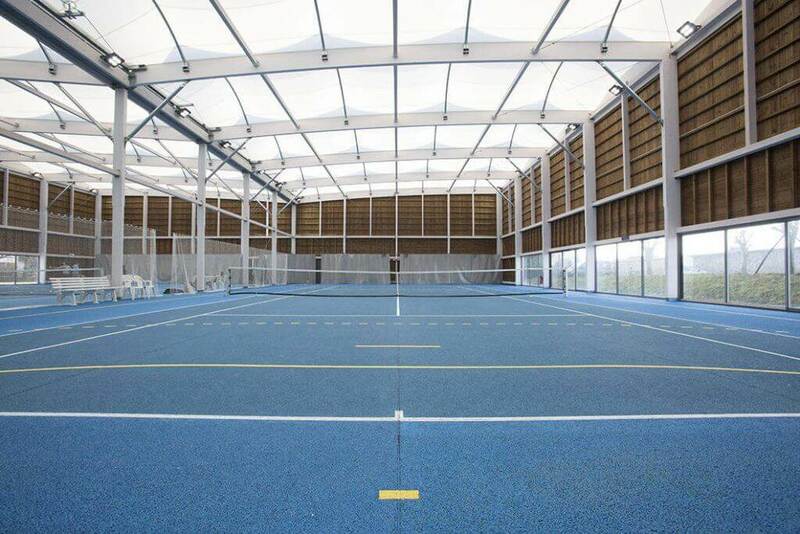 We also have a small complex featuring a 100 m2sports hall, changing rooms, washrooms and reception. The hall is divided into two for judo and dancing. 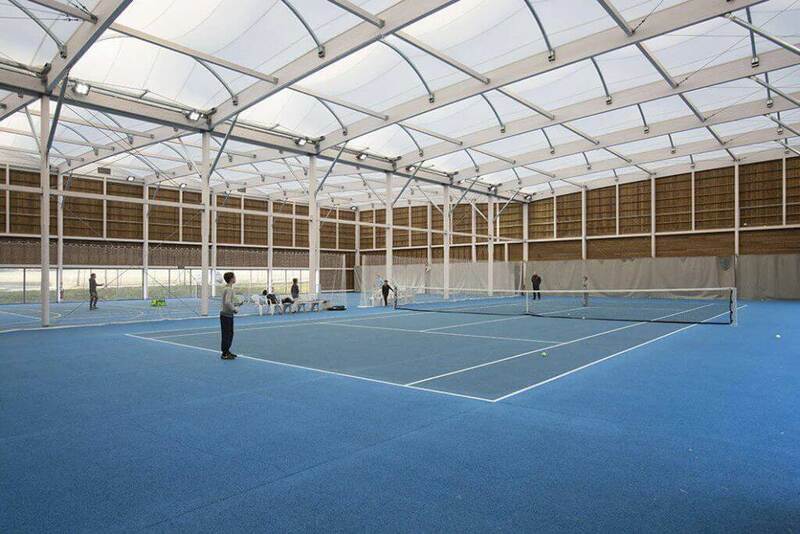 It is mainly used by the town’s multisports club as well as its schools and the outdoor leisure centre. This structure responds to a whole series of requirements and revitalises our town’s sporting life in addition to enhancing its attractiveness.